With its innovative Z-shaped base adding a sense of weightlessness, our Milo Baughman Z lounge chair is a luxurious attention grabber. Our Z Lounge chair features luxurious buttonless-tufted upholstery and is supported by either a polished stainless steel base or brushed bronze base. 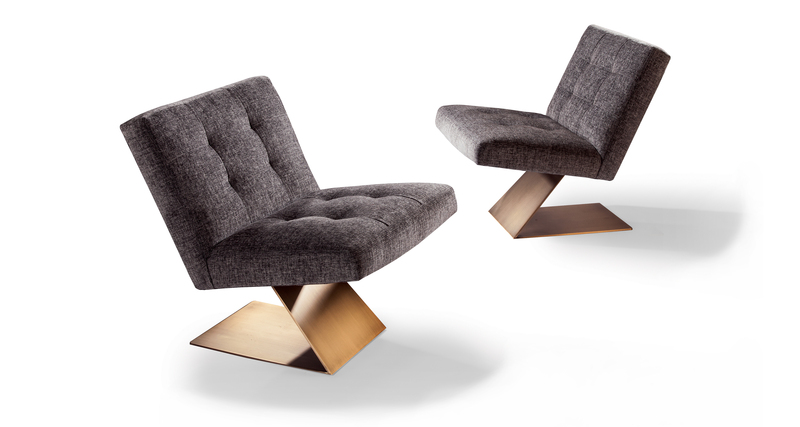 The Z lounge chair comes either armless (No.1305-100) or with comfort arms (No. 1305-103). Choose any of our in-house curated fabrics or leathers for upholstery or provide COM. Also available with polished stainless steel base as No. 1305-100.